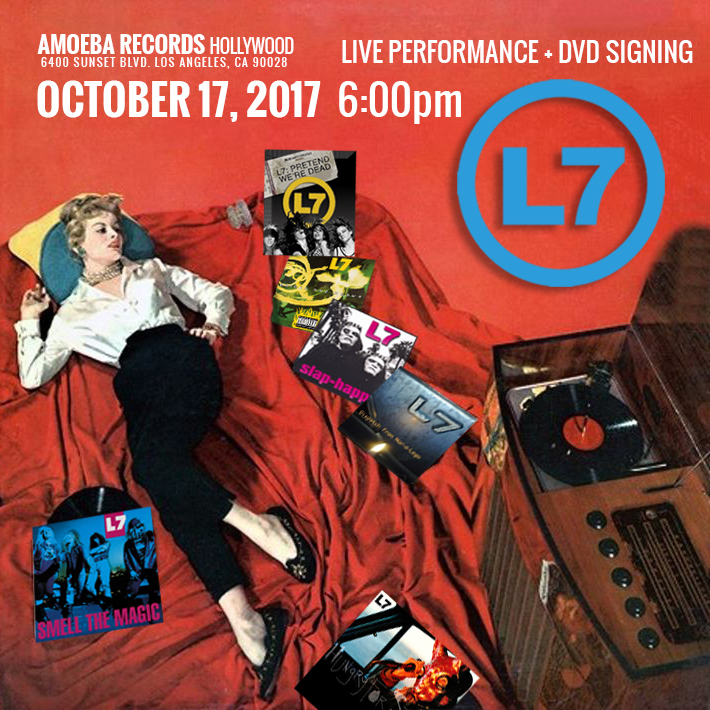 L7 will be playing a free, live show and will be signing the new release of “Pretend We’re Dead” the documentary at Amoeba Records Hollywood. You may purchase the Blu-ray or DVD “L7: Pretend We’re Dead” documentary at Amoeba Hollywood October 17th and we will be there to sign your copy. You will receive a ticket to the signing when you purchase your copy. 1 ticket per person. We will only be signing copies of of the documentary, so please leave your stinky socks, buttplugs and restraining orders at home. We will to those next time fer sure! In-store purchases only (no online/phone orders).